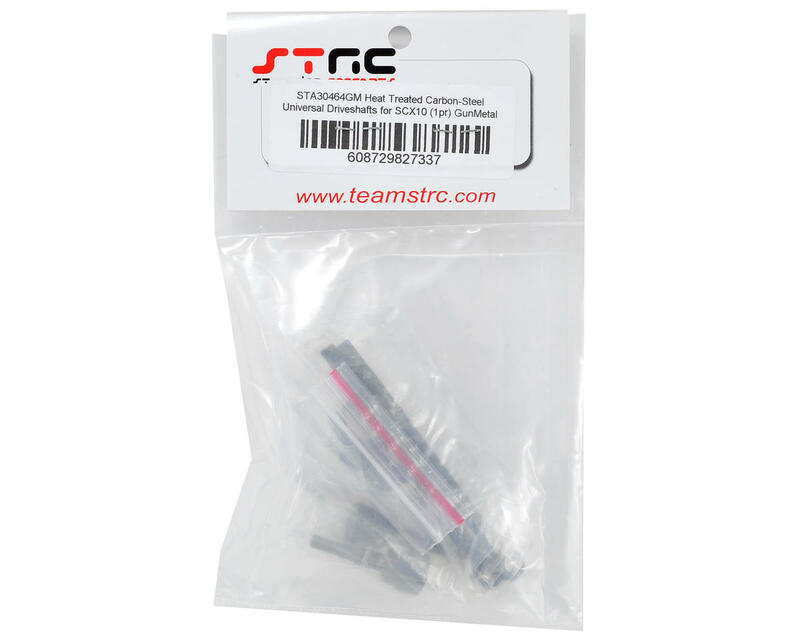 This is an optional ST Racing Concepts SCX10 Heat Treated Carbon-Steel Universal Driveshaft Set, with Gun Metal anodized retainer rings. Machined from high quality Carbon Steel then high heat treated for durability, these Universals improve the strength of your SCX10, while at the same time improving performance. These driveshafts reduce backlash when turning in a tight radius, improve acceleration, reduce binding, and allow for more power to be continuously transferred to the wheels. 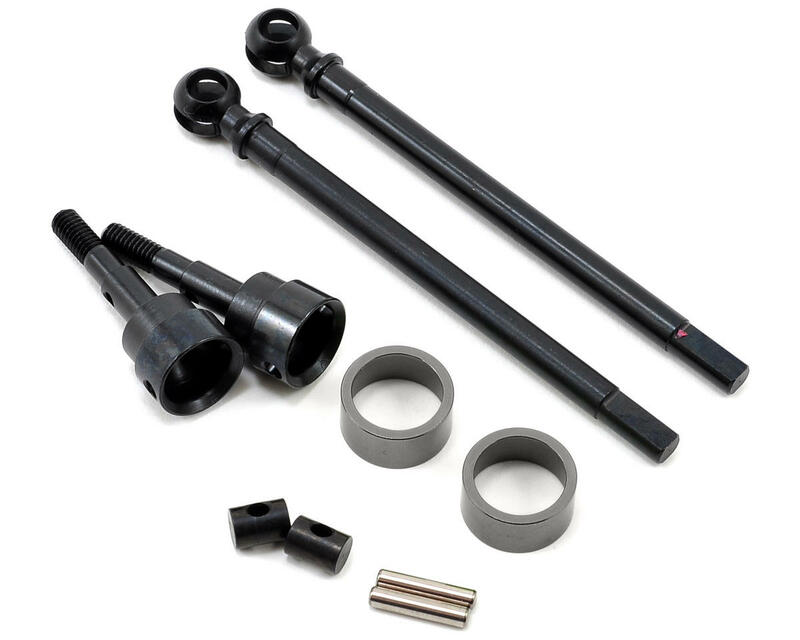 These driveshafts are easy to assemble, require no modification to install, and are completely rebuildable. Plus, they are available with four different colors retainer rings! Select Gun Metal or Black for a realistic look, or show a little bit of bling out your rig with green or silver retainer sleeves.